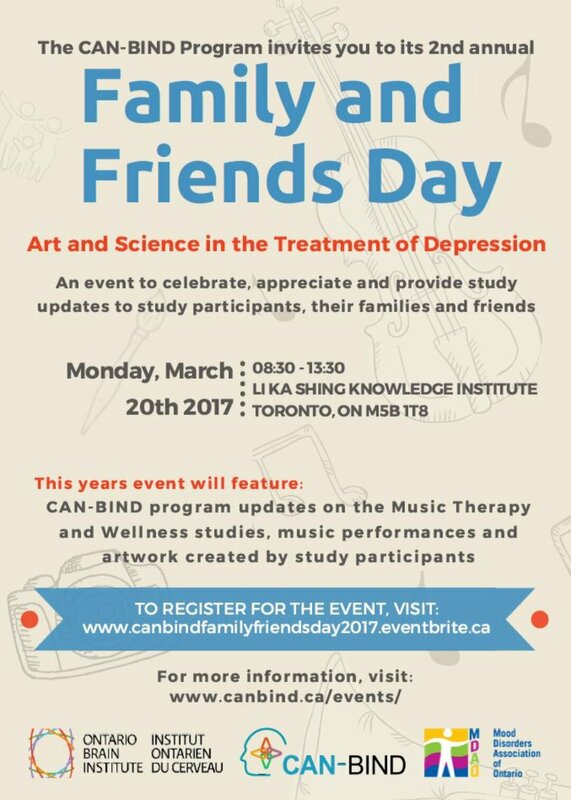 The Canadian Biomarker Integration Network in Depression (CAN-BIND) second annual Family and Friends Day will provide research and program updates to CAN-BIND study participants, their friends, and families who have living experience of clinical depression. This event will also include art, music and other social activities. For more information visit: http://www.canbind.ca/.